ModHTs module is a version smaller than ModHT module (housing is 6 DIN modules against 9 DIN modules of ModHT). ModHTs works in a manner substantially identical to ModHTs, the difference is only in the amount of inputs and outputs earlier to reduce the number of terminals. 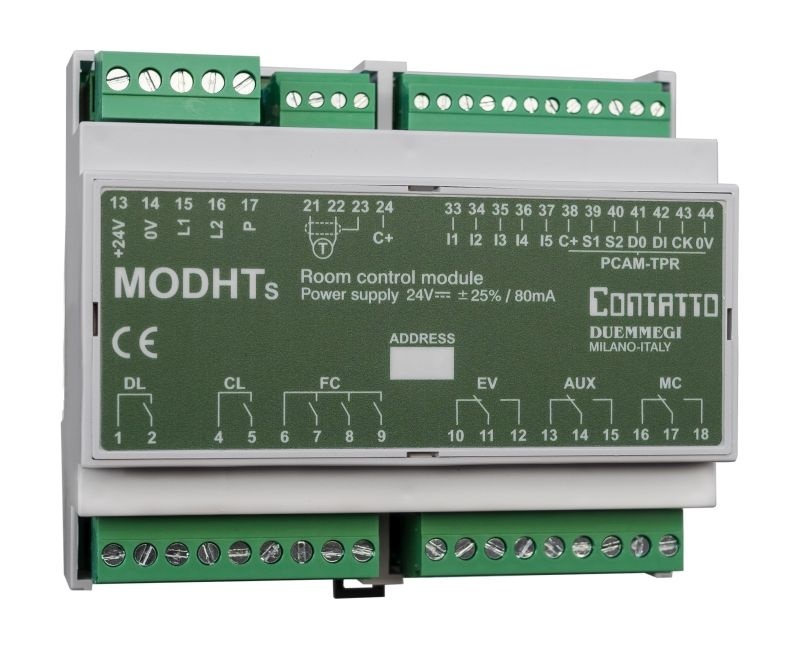 Great advantage of ModHTs: it does not require any additional power supply, being enough the 24Vdc supplying the Contatto bus. KEY is a transponder in credit card shape. The badge KEY can be customized according to the requirements of the manager of the plant. 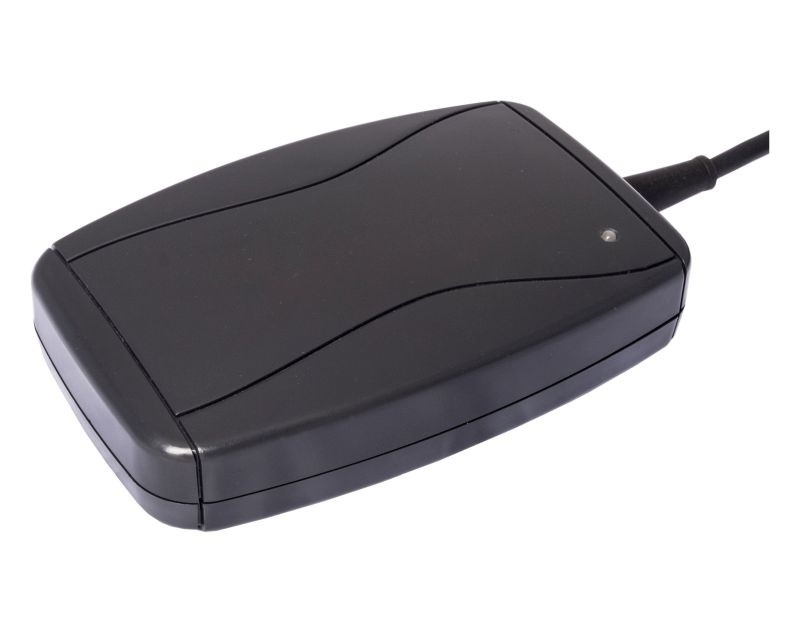 ModPQ5 module is a TAG Q5 programmer provided as support to Hotel and SYSCA2 acces control systems. 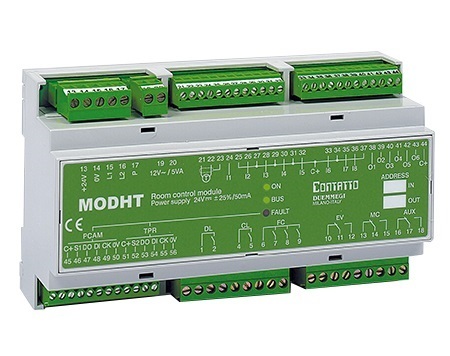 MODPQ5 is directly connected to the Contatto bus: this feature makes easy the positioning of the programmer and also it allows the remote programming of the TAGs. 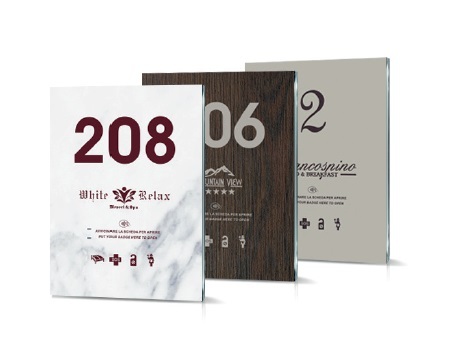 The software in the different sizes (50, 100, and 250 rooms) allows the management of the rooms and some items for common areas. 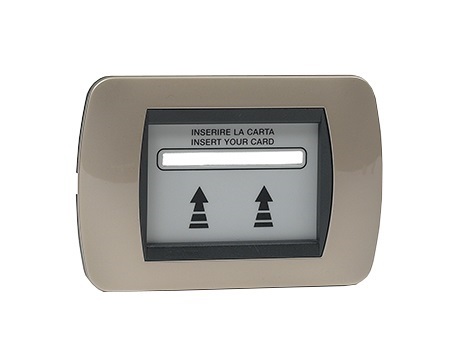 The outdoor panel TPR/H L features a transponder reader which allows to manage the access to the room of the Guest and of the service staff. The outdoor panel TPR/H L also provides 6 LEDs reporting the iinformation related to " Valid transponder code", " Invalid transponder code", " Presence in room", " Help required (SOS)", " Do not disturb" and " Make up the room". 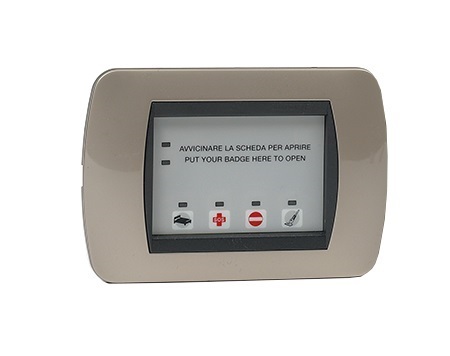 The outdoor panel TPR/H features a transponder reader which allows to manage the access to the room of the Guest and of the service staff. 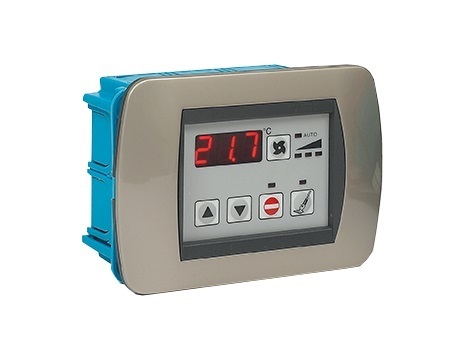 The outdoor panel TPR/H also provides 6 LEDs reporting the iinformation related to " Valid transponder code", " Invalid transponder code", " Presence in room", " Help required (SOS)", " Do not disturb" and " Make up the room". 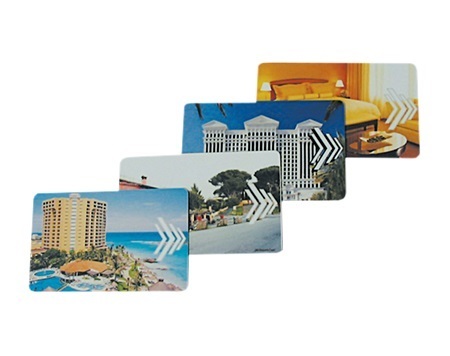 The badge holder TPB allows to recover the transponder when the Guest or the service staff is inside the room. 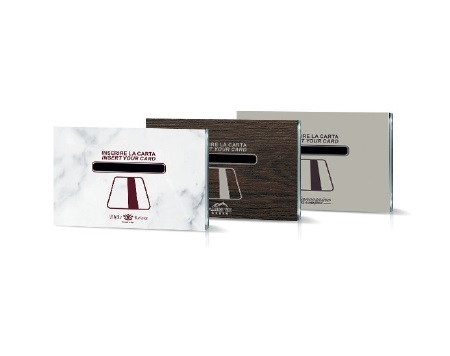 The badge holder TPB features an antenna which is connected to the outdoor panel TPR/H and that allows to exactly identify who is in the room among 8 possibilities. Depending on the code read by TPB, the system enables all the electrical services of the room or some of them. The room panel PCAM is equipped by a 3-digit display for the visualization of the measured room temperature and the current set-point. 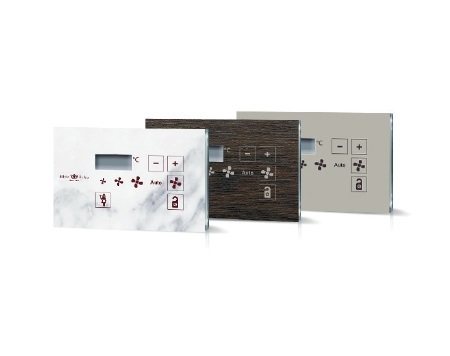 The room panel PCAM allows to the Guest to set up, within limits allowed by the manager of the structure, the temperature of the room and the speed of fan-coil unit. 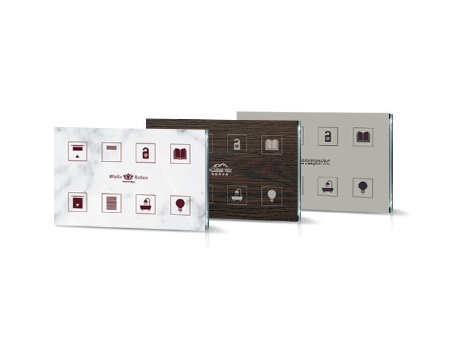 The room panel PCAM also allows to activate the “Do not disturb” and “ Make up the room” signals. For Firmware 3.3. Module for the management of all functions of the room. New version 3.3 of ModHT module, allowing the customizing of many functions, the management of 4-pipe systems and many other features. For Firmware 3.1. Module for the management of all functions of the room. New version 3.1 of ModHT module, allowing the customizing of many functions, the management of 4-pipe systems and many other features. 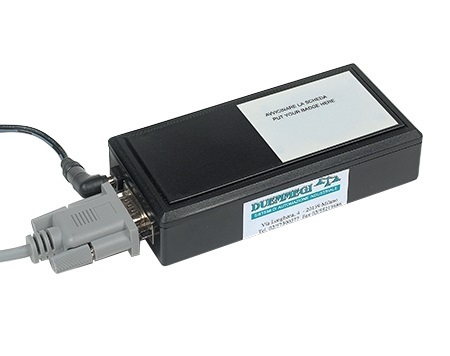 KeyProg is a transponder programmer featuring a RS232 port to be connected to the supervisor of the Hotel. 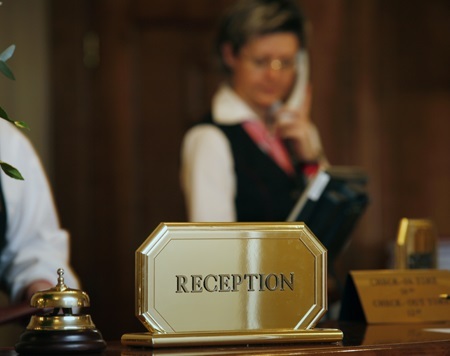 KeyProg allows to assign the wanted code to the badge of the Guest or of the service staff.